Denver, CO | February 8th, 2019 - Ultra-high-end speaker manufacturer, YG Acoustics™ (www.yg-acoustics.com), once again expands accessibility to flagship-level sonics by incorporating BilletDome™ and ViseCoil™ technology into its Hailey™ platform. The newly developed Hailey 2 is the 2nd generation of this award-winning speaker. First launched in 2014, YG Acoustics’ Hailey was originally modeled after the then-flagship Sonja™, incorporating Sonja’s sonic ideals and aesthetics but, with a larger accessibility in the ultra-high-end range. Quickly, Hailey became distinguished for its optimal audio performance and award-winning sound, defining itself as a milestone product for the brand and the industry. Designed and developed by YG Acoustics’ Founder and Chief Engineer Yoav Geva, Hailey 2 secures a new level of excellence from its predecessor. Hailey 2 builds off its heritage with YG Acoustics’ breakthrough technological innovations BilletDome and ViseCoil. 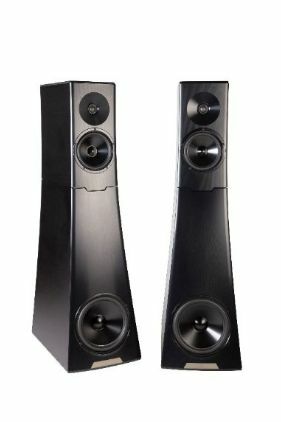 Hailey 2 is designed in three forms; Hailey 2.2 a 3-way passive floorstanding speaker, Hailey 2.1 a 2-way passive compact speaker and Hailey 2R a 2-way passive compact speaker optimized for rear/side-channel (home theater) as well as two-channel (stereo) use. It can be wall-mounted using dedicated hardware or placed on a case/shelf. This family of speakers embodies YG Acoustics’ continued commitment to producing the finest flagship speakers driving a technical and sonic force in the wonderful world of audio. The technologies of Hailey 2 mirror those of the recently released Sonja™ 2, using equally stunning industrial design, and the same world-class precision-manufacturing, now including the revolutionary technology of the BilletDome tweeter and the ViseCoil bass inductors. The result is astonishing sonic performance, only exceeded by the Sonja 2 and Sonja™ XV – in a gorgeous marvel of engineering and craftsmanship. Hailey 2 is distinguished first and foremost by the patent-pending BilletDome tweeter. BilletDome is YG Acoustics’ most complex mechanical invention to date: a resonance-free soft dome is supported by a stiff, light airframe machined from aluminum billet. The airframe weighs a mere 30 milligrams (a thousandth of an ounce), but its critical sections are up to 14 times thicker than a typical hard dome, so its structural strength is vastly superior even to domes made of the most exotic hard materials. This remarkable tweeter ends the age-old debate of hard dome versus soft dome, by combining the best of both. Hailey 2’s bass crossover uses ViseCoil™ inductors, which are CNC-wound in-house, then encased in a vise-like milled structure to eliminate vibration and tighten tolerances. Residual loss is reduced by 24%, and linearity is improved by 60%. The result is better control over the woofer, far greater bass impact, and an easier job for most amplifiers. Hailey 2 also employs YG Acoustics’ pioneering technologies BilletCore™, ForgeCore™, DualCoherent™, ToroAir™, Cabinet Technology and FocusedElimination™. For details on these unique YG Acoustics technologies, please visit yg-acoustics.com. Hailey 2 is designed, manufactured and assembled in Colorado, USA and follows the notion that form follows function in excellent design. As YG Acoustics continues to pioneer and innovate in the high-end audio industry its latest evolution, Hailey 2, represents a gorgeous marvel of engineering and craftsmanship and the continued innovation of YG Acoustics. Hailey 2 represents spectacular sonics, timelessly elegant form and Pure Harmony.